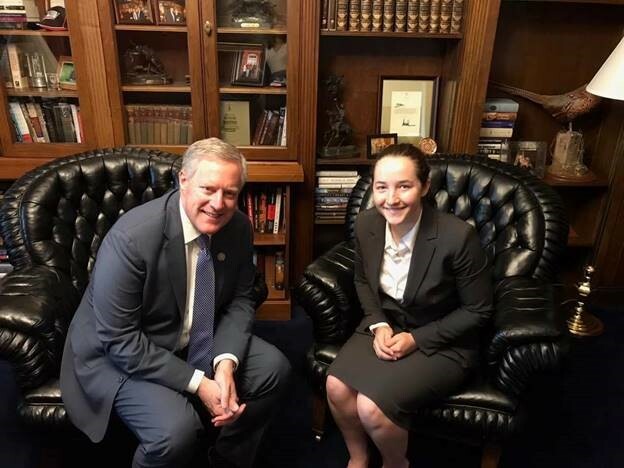 I wanted to begin this week’s newsletter by remembering a dear friend, Dr. David Belcher, Chancellor of Western Carolina University, who passed away recently after a battle with cancer. You can read my full statement on Dr. Belcher below. “Debbie and I would like to extend our prayers and support to the Belcher family. Dr. Belcher was nothing short of a champion in the Western North Carolina community—he was a leader, a visionary, a mentor, and a dear friend to so many over the years, beloved by the entire Western Carolina institution where he served as Chancellor. Though he spent the last years of his life battling several challenging health circumstances, Dr. Belcher never wavered and conducted himself as he so often did: with impeccable character, class, and integrity. We will miss his leadership and influence dearly, but he leaves behind a tremendous legacy of service that can be held as a standard for all to aspire to. You can read more about Dr. Belcher here. This past weekend was a historic moment for Swain County, North Carolina. 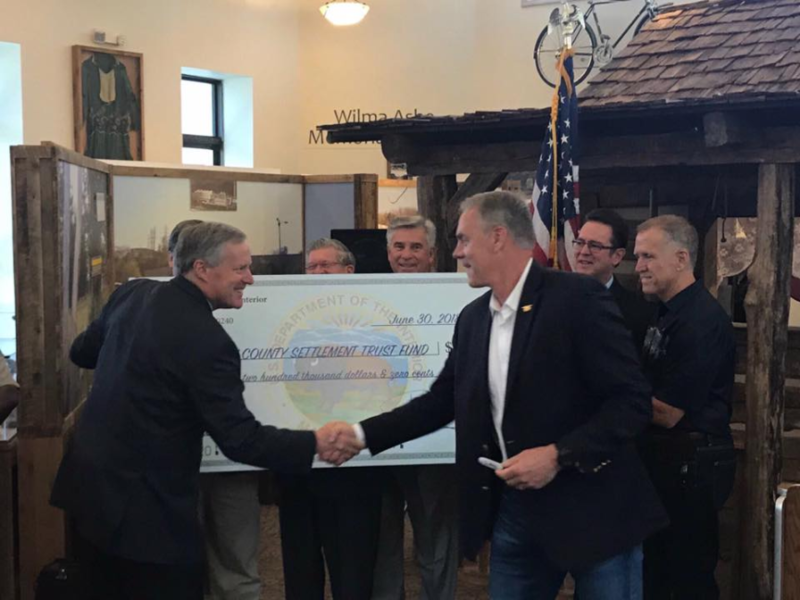 Interior Secretary Zinke came to our district and celebrated Swain County receiving the full remaining $35.2 million payment owed from the North Shore Road Settlement. 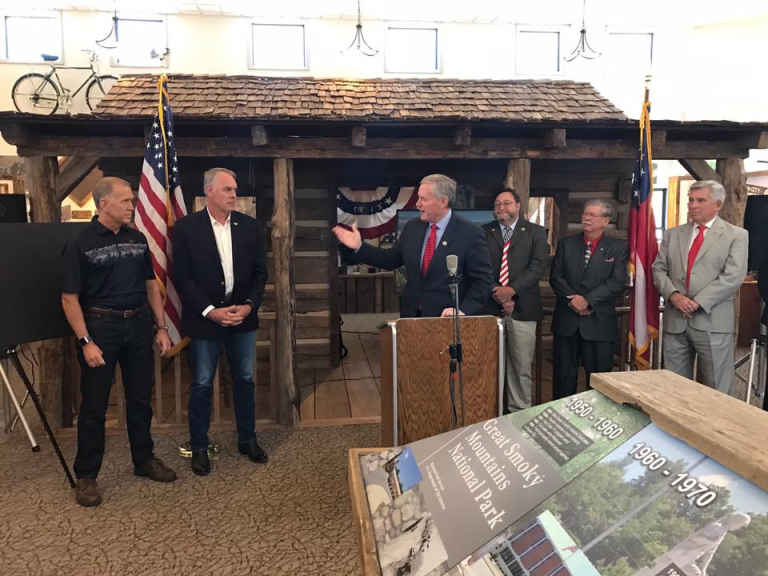 The Interior Department’s plan to complete the payment was announced in a release earlier this month, and Secretary Zinke made the formal announcement at the Swain County Heritage Museum in Bryson City on Saturday. As many of you know, the federal government has owed Swain County these funds for over 70 years. When I arrived in Congress in 2013, on day one, my office began working with the Department of Interior to prioritize the issue and help the county receive the full payment owed. 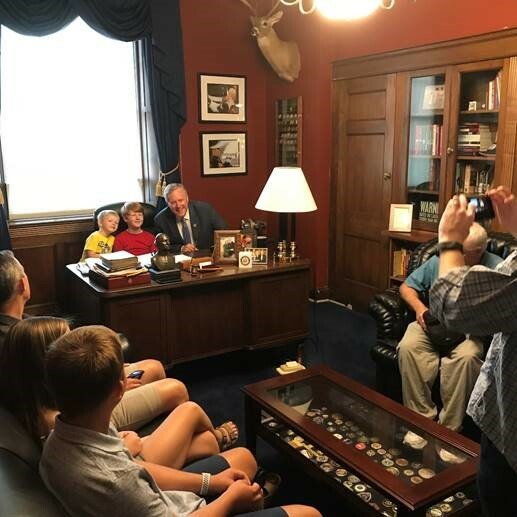 When they got in office, President Trump and Secretary Zinke showed an immediate commitment to righting the wrongs of past administrations and making the situation right—and last weekend, they came to our district and delivered. Swain County finally received their due. President Trump’s administration and Secretary Zinke honored their word and delivered. 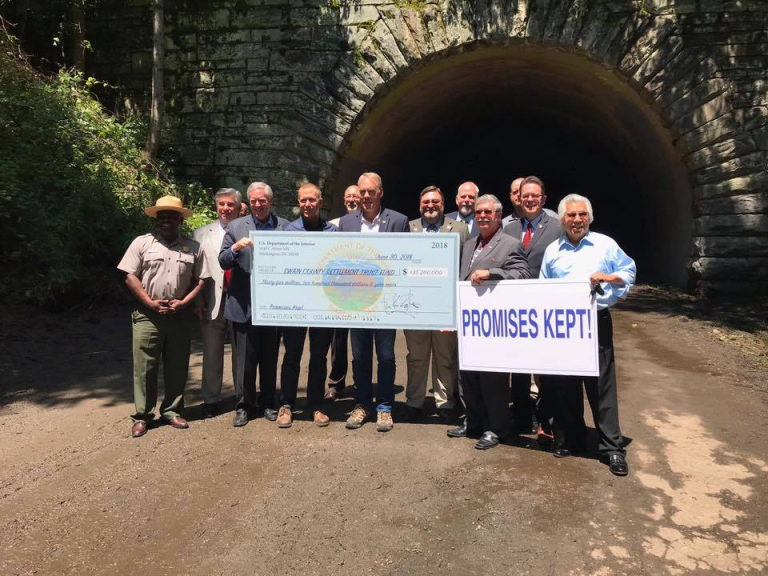 I want to thank the President, Secretary Zinke, and so many Swain County leaders who worked hard on this for years. What an amazing day for Swain County and NC-11! 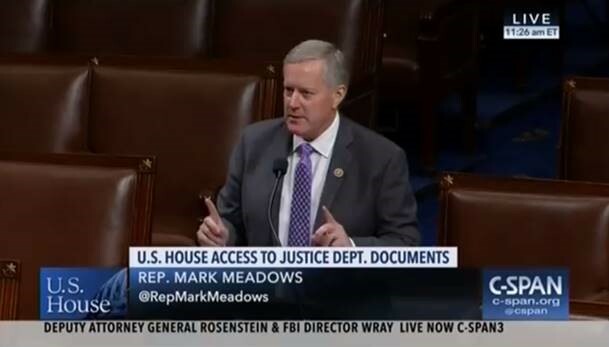 Rep. Jim Jordan (R-OH) and I recently brought our resolution to the House floor—the resolution that will compel the Department of Justice to turn over all remaining relevant documents owed to Congressional investigators within 7 days. The House voted and the resolution passed. You can read the full release here, including quotes from some of our 18 original cosponsors. We are incredibly grateful to our colleagues for their support. Many of you who have been following this story are probably aware by now—this has been an ongoing fight to allow Congress to do its constitutional duty of oversight. For nearly 8 months, the Department of Justice has been given the opportunity, yet refused, to be transparent and answer questions about their conduct—even rising to the level of ignoring subpoena deadlines from Judiciary Committee Chairman Bob Goodlatte and Intelligence Committee Chairman Devin Nunes. If Rod Rosenstein and the Department of Justice have nothing to hide, they certainly aren’t acting like it. We are tired of this Department of Justice giving us the runaround. It is clear they no interest in cooperating, and we are done talking. I’m glad my colleagues joined with us to put this to a vote. I want to thank my colleagues for their support. One way or the other, Americans will find out what truly occurred at their Department of Justice on their taxpayer dime. You can watch some of my closing floor speech here from the day of the vote. 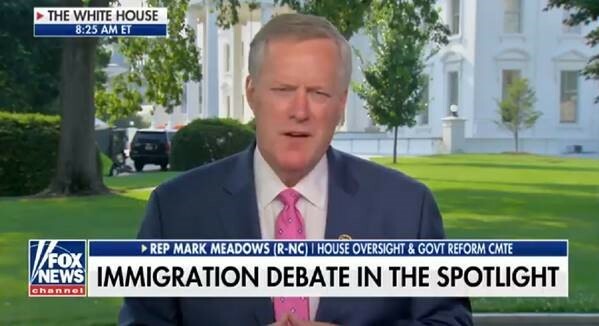 I also spoke with Fox and Friends about the resolution—you can watch the interview here. We have had huge news coming out of the Supreme Court recently. As you may know, the Court upheld a pro-life organization’s First Amendment rights and prevented government from forcing them to advertise abortion services; they upheld the President’s constitutional right to protect the American people and enforce limited travel restrictions for security concerns; and they ruled that public sector employees cannot be forced to subsidize political opinions they disagree with through union dues, which is a textbook First Amendment issue. All of these rulings were absolutely critical and major victories for originalism. Perhaps most critical, though, was the news that the Court will now have another vacancy this summer with the retirement of Justice Anthony Kennedy. This means President Trump now has an opportunity to nominate yet another originalist Justice—one who will respect the rule of law and not legislate from the bench. President Trump is expected to announce his selection next week. You can read more on that news here. This was a successful week for a Supreme Court that is hopefully returning to respecting our founding principles of limited government and constitutional order. I recently introduced a bill based on an issue many of you have reached out to my office about. It’s called the “Equal Protection of Unaccompanied Minors Act”— to resolve loopholes in the U.S.’s immigration border enforcement system, allowing for families to stay together during the detention process at the border. You can read more about the bill here, including the full text and a summary. The bill more easily allows for family units to stay together by clarifying U.S. policies of family detention and the treatment standards of unaccompanied immigrant children. The President’s agenda of cracking down on illegal immigration is critical, and yet many of us, including the President, agree: there is a better way to solve the complications of illegal immigration proceedings than separating children from their parents at the border. U.S. border officials need better tools to control the system, keep out violent criminals, and identify those who may be seeking to illegitimately take advantage of our asylum laws. And ultimately, the best path forward is for the U.S. to reunite these families and return them to their home country—rather than encouraging a system that allows people to bypass the rule of law. I believe this bill will provide the solution we need. 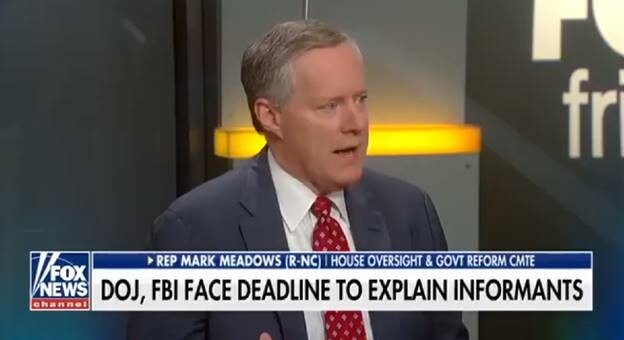 I spoke about the bill on Fox and Friends—you can watch the clip here. I wanted to give you a brief update on the immigration issue and let you know I voted "No" on the ‘compromise immigration bill’ from GOP leadership. When the House voted, the bill failed on the floor: 121-301. We negotiated to try and reach a deal, but the final product did not deliver on enough of my constituents' priorities to warrant supporting it. Hopefully, in the coming months, we can continue working and reach an agreement—one that strongly secures our borders and makes smart reforms to our immigration laws. And, most importantly, one that achieves what you elected me to help do. I'm willing to keep pushing until we get there. 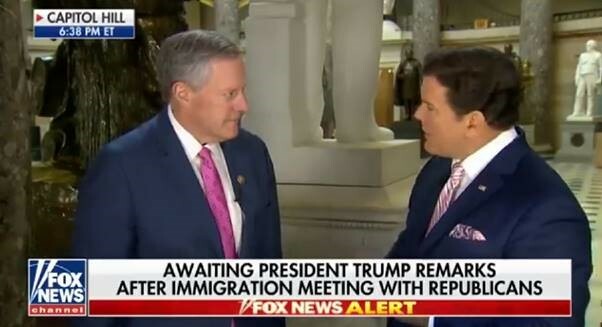 During the negotiations, I talked to Bret Baier in the Capitol on ‘Special Report.’ You can watch the interview here. Congress recently received a copy of the Inspector General Report, the report investigating how the FBI and Department of Justice handled the Clinton email server investigation, and we learned of some extremely troubling information. Two of my immediate questions upon reading it: 1) Why is Peter Strzok, former FBI counterintelligence officer, still employed at the FBI? And 2) Why has Rod Rosenstein repeatedly failed to promptly inform Congress of improper conduct? For example, below is a text message between two FBI agents and lead investigators in the Clinton and Trump campaign investigations, Peter Strzok and Lisa Page, that Congress just now learned of. To be clear: for months, Congress was not aware of and not given this text message—we had to learn about it on the day of the IG Report. Needless to say, this text presents a significant problem. This is an FBI agent, tasked with investigating the Trump campaign, saying: “we’ll stop” Trump from becoming President. 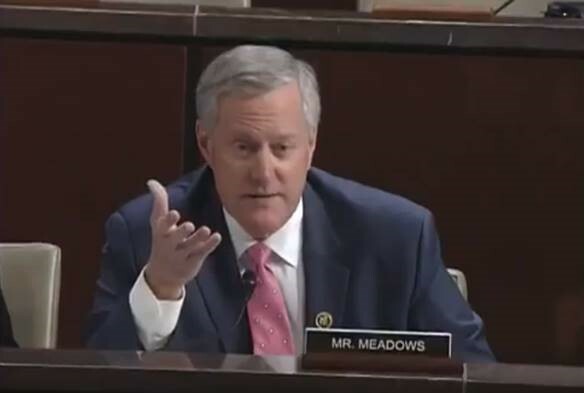 I took the opportunity to question the Inspector General during a full hearing. You can watch the video here. IG Horowitz conducted himself admirably throughout the entire process and I thank him for his answers. If you’re looking for a summary of the report, one particular breakdown I’d recommend is by Mollie Hemingway. It outlines 11 key takeaways. You can read it here. 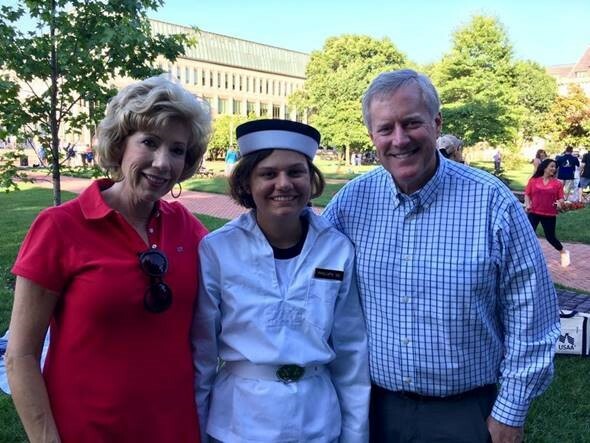 Debbie and I were thrilled to be in Annapolis for the Induction Day of our niece, Tatum Phillips! We are so proud of you Tatum. We had some wonderful visits from constituentsin the office this week! We met some great families, including Sarah Morrow, West Point nominee fromNC-11, and William Lay, Naval Academy nominee for our district! They are both outstanding! 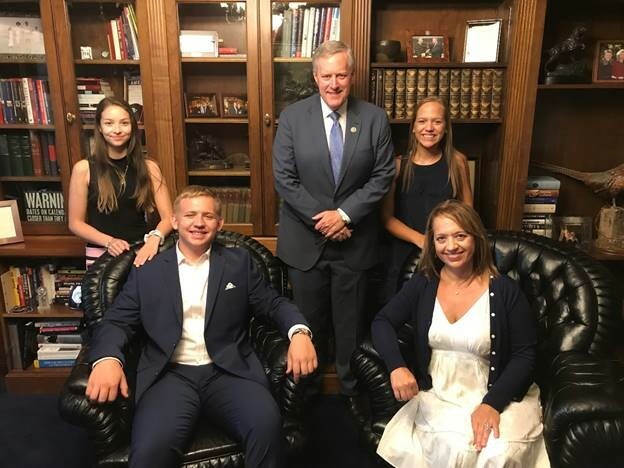 If you and your family are ever in D.C., please be sure to stop by and say hello. We’d love to see you. 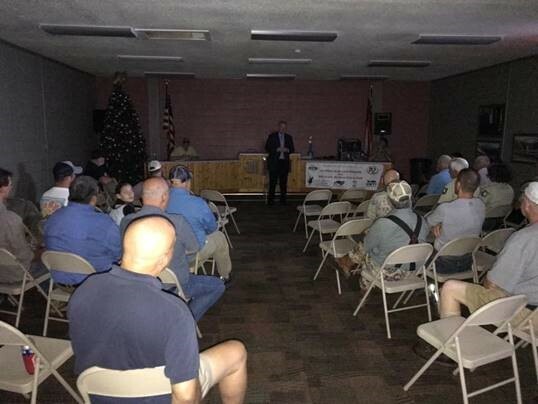 It was great to meet with the Western NC Fish and Wildlife Conservation Council last weekend. The power went out, but the work doesn't stop! Thanks to them for having me join them in Rosman!